Constructor is an interesting concept in java. A constructor is used to initialize the object. In other words, a constructor is invoked when we create any object.A constructor initializes the data for the object. 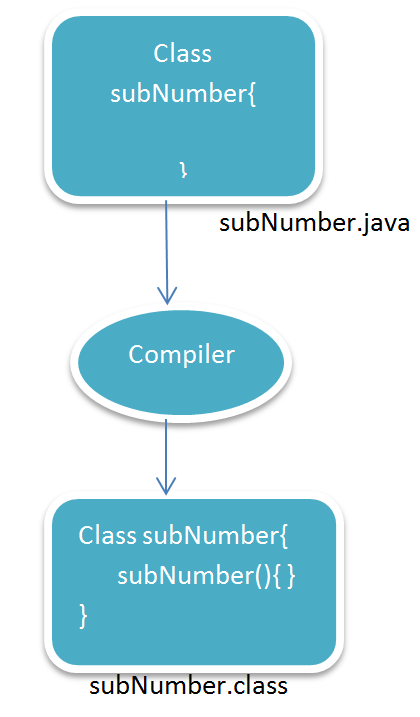 There are 2 types of constructors in java. Default Constructor: A constructor that does not have any arguments is called default constructor. Note: If no constructor is provided, compiler adds a default constructor to the class. When we create the object of SubNumber class in the below example, default constructor will be called. Parameterized Constructor: A constructor which has parameters is known as Parameterized constructor. We can have any number of parameters in the constructor and we can initialize objects with the same no. of parameters as per parameterized constructor. That means we can have more than one constructor but with different number of parameters. What is the role of a default constructor? Default constructor assigns the default values to object or data members like 0 to int, null to String etc. Yes, it returns class instance. We cant use return type. What else constructor can do? It can be used like a method i.e. we can create object, call methods etc inside it.